Quick mani to share, simple gradient/skittle mani! Hope you guys have a great week!!!! I love this manicure! So soft and simple! Wow, this is seriously beautiful! 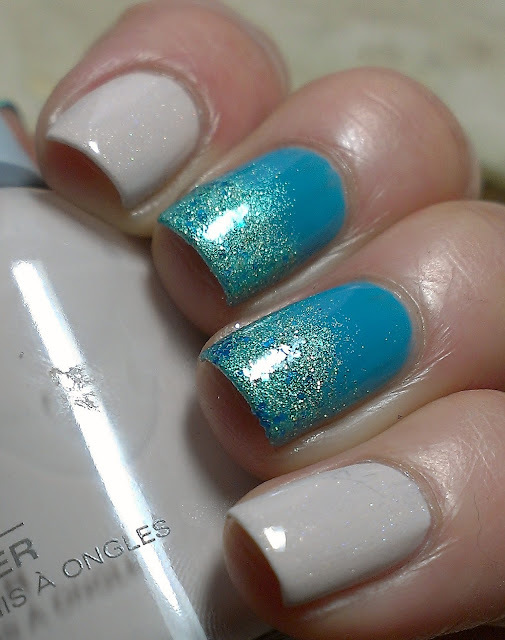 This is like a day at the beach on your nails - gorgeous! I love aquas too, so pretty! Aww, this is super elegant, I totally love it!! Those colours are so gorgeous together! Wow, using it for a gradient is stunning!